Greenway Station, located in Middleton, Wisconsin, built in 2003 is an open-air shopping center designed as a pedestrian-friendly environment with convenient store front parking. With its attention to architectural details and landscaping the upscale, open-air lifestyle center includes strolling walkways, extensive gardens, a spacious courtyard and a 60-foot clock tower. 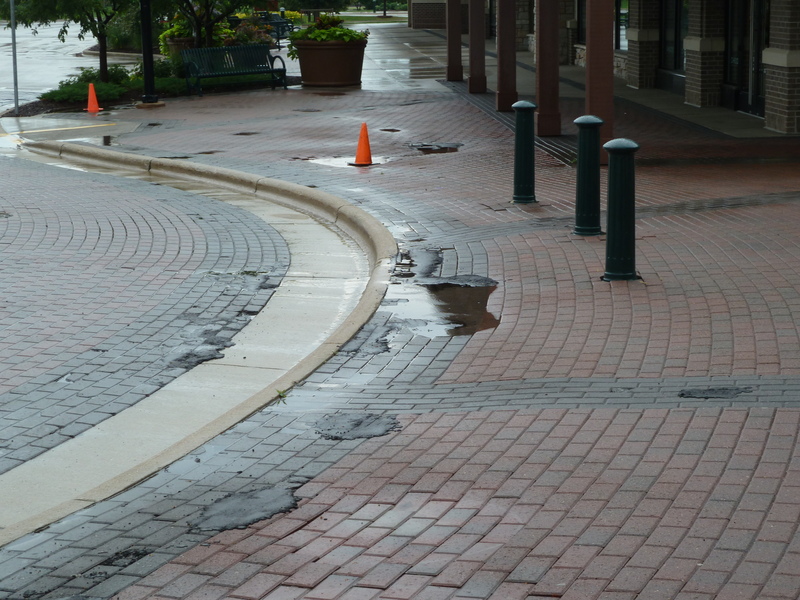 The brick pavers installed originally throughout the shopping center were failing badly and the Greenway staff contacted Bomanite Licensee, Bastian Concrete Construction for a solution. Working together Greenway appointed Bastian Concrete as the preferred contractor for installing only Bomanite Systems and products. All of the work needed to be done while the stores remained open, which meant different projects, areas for renovation were done at odd hours to make it all come together. Bastian Concrete removed and hauled away all the pavers and base; all the used brick pavers were given to the local stone quarry for resale/recycling. Bastian Concrete then reset the base, took care of many drainage problems in the regrading and repoured the sections with Bomacron imprinted concrete. 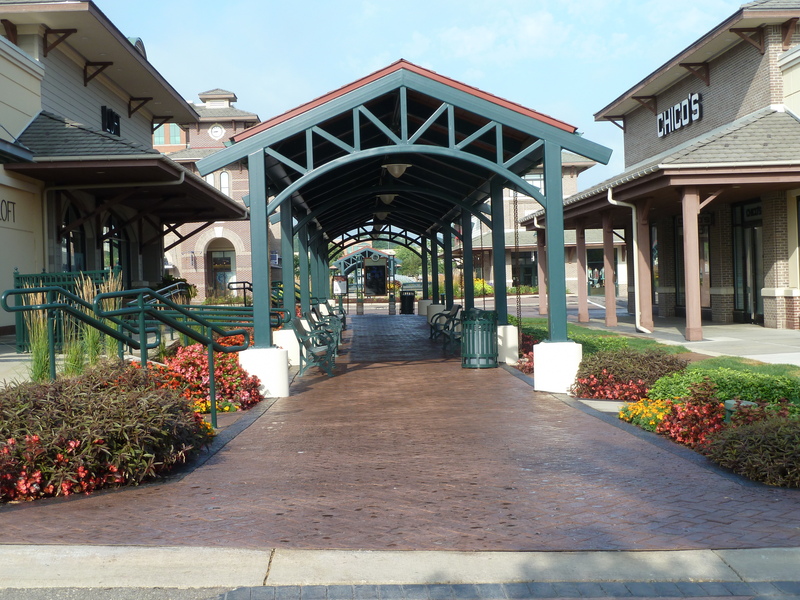 Several imprint patterns; Running Bond Used Brick, Herringbone Used Brick and Soldier Course Used Brick were chosen for the shopping center and paver replacement project to compliment the original design and upscale outdoor shopping experience.